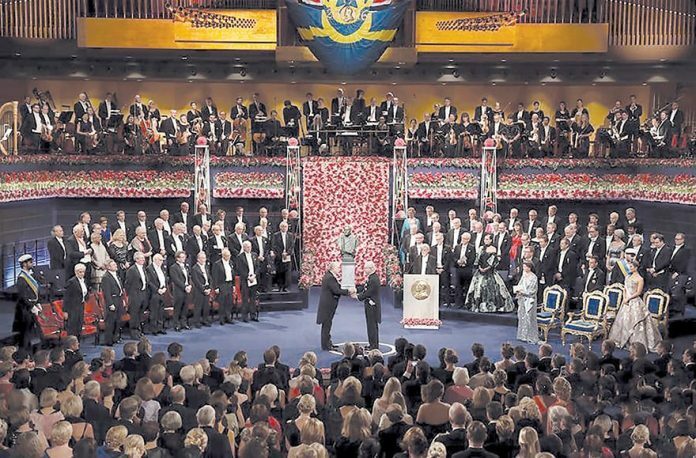 A grand Nobel Prize Awards issuing ceremony has been held in the Stockholm Concert Hall by Swedish King Carl XVI Gustaf in front of over 1,000 scientists, politicians dignatories and royal guests. 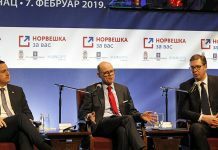 This year’s Nobel laureates include Professor David Thouless, Duncan Haldane and Michael Kosterlitz in physics, Professor Jean-Pierre Sauvage, Sir Fraser Stoddart and Bernard Feringa in chemistry, professor Yoshinori Ohsumi in medicine, and Professor Oliver Hart and Bengt Holmstrom in economic sciences. They received their Nobel medals and diplomas from the hands of Swedish tramadol order uk King Carl XVI Gustaf.Nobel Prize Laureate in Literature, Bob Dylan, failed to attend the award ceremony, but his famous song “A hard Rain’s Gonna fall” was sung by Patti Smith. Earlier in the day Colombian President Juan Manuel Santos received his Nobel Peace Prize in Oslo.